The Prezioso string quartet was formed in 2006. All four musicians studied at the Estonian Academy of Theatre and Music where the quartet was coached by Henry-David Varema. The players are also members of the Estonian National Symphony Orchestra. In 2006 the quartet won the first prize at the EATM Chamber Music Competition and in 2008 they reached the finals of the Con Brio Competition-Festival in Tallinn, where the quartet received numerous special prizes as well as concert offers, including a recital at the “Estonia” concert hall. In 2009 the quartet was awarded the 4th prize at the International String Quartet Competition "Night and Sun" in Rovaniemi, Finland. The quartet has attended masterclasses of the Petersen Quartet (Germany), Johannes Goritzki, Lydia Mordkovitch, Lluis Claret, David Takeno, Cristoph Poppen and Toomas Vavilov as well as taken part in a masterclass given by conductor Paavo Järvi. In 2009 and 2010 the quartet participated in the International Holland Music Sessions Summer Academy and performed concerts at different venues in Holland. 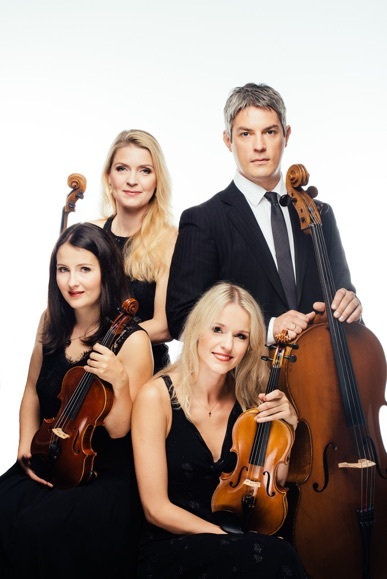 The quartet has been a regular guest at all the main concert halls in Estonia but has also performed successfully in Holland, Russia and Germany. The quartet has also performed in collaboration with musicians like a composer/conducter Konstantia Gourzi, pianists Antti Siirala, Mihkel Poll, Age Juurikas and Rein Rannap, quitar player Ain Agan, Mai Agan, Jaak Sooäär, Andre Maaker, singers Pille Lill, Tui Hirv, Hanna-Liina Võsa, Maarja-Liis Ilus, Maria Listra, Hedvig Hanson,Tõnis Mägi etc. Recent premiers include pieces by Tõnu Kõrvits, Tauno Aints, Kristjan Randalu, Margo Kõlar, Liis Viira, Rein Rannap, Aaro Pertmann, Timo Steiner, Mariliis Valkonen, Mirjam Tally, Sven Grünberg. The PSQ has appeared in numerous recordings in collaboration with other artists, the quartets own debut album was released in 2012.